Yesterday, TMZ began to report that supermodel Heidi Klum and her musical husband Seal would be divorcing. It was being said that Klum was going to cite “irreconcilable differences” on the divorce papers. Reports have surfaced that during a recent vacation in Aspen, Klum and Seal were arguing a lot. Seal is set to be in Australia for the next month to film for a television program. It is difficult to say if the time apart will save or kill their marriage. Together, Seal and Klum have three children. Their children are the ages 6, 5, and 2. 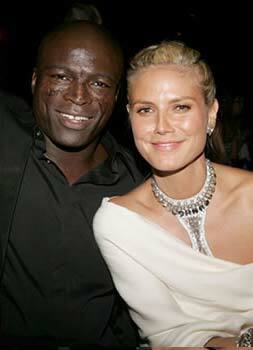 Seal also adopted Klum’s 7 year old daughter from a previous relationship. It is expected that the two are going to work to stay together and rise above their problems for the benefit of their children.